With views of downtown to the west, and the train yards to the south, our latest redevelopment project offers big city atmosphere at small town prices. Red brick walls, open beam ceilings, and hardwood floors accesorize these spacious yet affordable lofts. 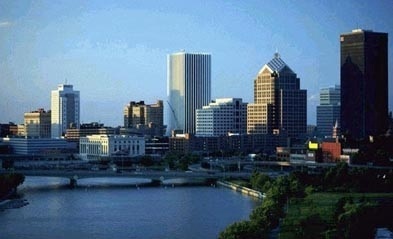 "A little bit of New York City right here in Rochester."